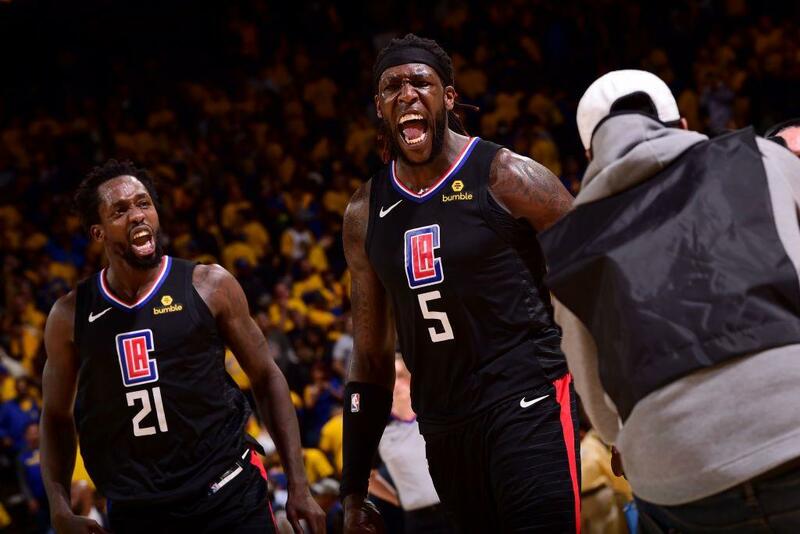 Fueled by furious defense, the L.A. Clippers completed the largest comeback in NBA playoff history — against the two-time defending champion Golden State Warriors, no less. Houston Rockets castoffs Patrick Beverley, Montrezl Harrell and Lou Williams were most relentless for the Clippers, outworking the Warriors’ superstar-laden squad at every turn. A Durant dunk plus the foul gave the Warriors a 94-63 advantage with 7:31 left in the third quarter, and it appeared as though Golden State would get a chance to rest their four remaining healthy All-Star starters (DeMarcus Cousins suffered “ a significant quad injury ” in the first half). But Williams cut it to one with another of so many fadeaways, and the two rookies — Shai Gilgeous-Alexander and Landry Shamet — found one another on a 3-pointer that finally tilted the score in the Clips’ favor with 15.9 second left, 133-131. Curry went for the win, and when his 27-footer went wide, Harrell sunk his two ensuing free throws to seal as stunning a victory as you will ever see in the NBA. The Clippers weren’t supposed to be here, and yet they’re tied with the Warriors entering Wednesday’s Game 3 in L.A., where Beverley will still be hounding Durant.